Madagascar Oil, which has over 1.7 billion barrels of contingent resources in the Tsimiroro field, provides the following update on its strategic partnering process and financing initiatives. 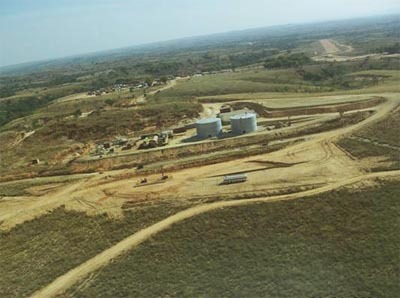 For the past two months, the Company has been working closely with its strategic advisor, Jefferies International Limited, to consider the Company's strategic options regarding the sourcing of a strategic partner(s) for the Tsimiroro development. A comprehensive Information Memorandum has now been finalized and a technical data-room has been opened with the view to attracting the optimal strategic partner(s) to assist the Company to fund and deliver the initial phases of its Tsimiroro development. The Company's process to identify a potential strategic partner(s) is making steady progress, despite the current adverse market conditions, with interest being expressed by a number of credible parties. A clear timetable has been established and the process is currently expected to run through to the end of 2015, with the target of finalizing any transaction by the end of Q1 2016.